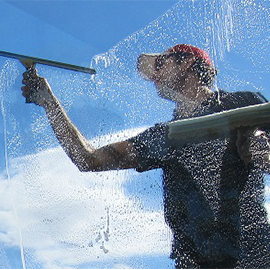 At Melbourne Window Cleaning, we offer the best in service in technology. However, many customers will opt for just the cheapest price. What dangers can occur using that strategy? 1.Poor service – many offer a very cheap price per hour but these jobs will often take more than twice the time to accomplish due to the inexperience of the operators. 2. Damage – In order to earn a living whilst charging a budget rate, many operators will be sloppy when moving furniture or other objects. This can result in damage to your belongings. 3. Scratched windows – many operators will use paint scrapers or faulty techniques in removing spots from glass. This can result in scratches on your windows, costing hundreds of dollars to fix or replace. 4. Tint Damage – Many non-professional window cleaners don’t know how to tell if glass is tinted. Tinted glass cannot be cleaned with firm or abrasive tools, this often results in damage to tinted windows. At Melbourne Window Cleaning, we have 2 decades experience and will protect your asset, not damage it! Call Melbourne Window Cleaning today for the best in window cleaning services in the Melbourne area. Previous Previous post: Isn’t Price The Most Important Thing?